Hey guys! We're back and headed to one of our favorite places, the Fireside Bowl, with some great bands including Opposites, T'Bone and Costanza. 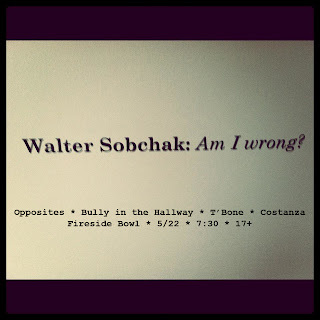 The show is 5/22/12, at 7:30 and is 17+. See you there! !